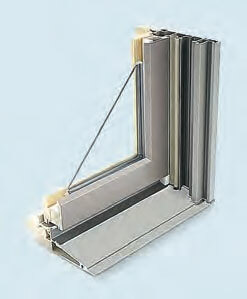 Long a traditional favorite, it’s attractive, a decent insulator, and easy to repair. There’s virtually no limit to how it can be customized. Too bad it’s vulnerable to water. 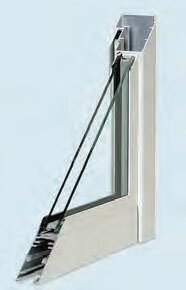 Attentive maintenance is the key to how long this window lasts. May be the only option in historic neighborhoods. 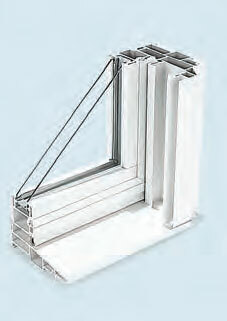 This is a wood window covered by an outside layer of vinyl or metal, usually aluminum, that virtually eliminates maintenance. Metal cladding is more durable by far. 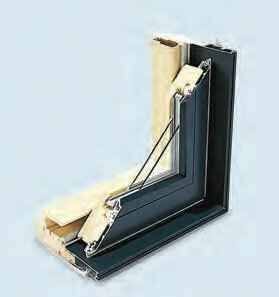 This window shows off wood’s aesthetic qualities on the inside while making use of its insulating properties. This mix of spunglass fiber and polyester resin is rigid, strong, impervious to water, and as good an insulator as solid wood. Some manufacturers offer a wood lining on the interior. 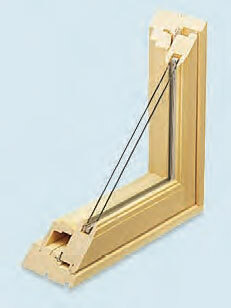 About as maintenance free a window as you can get, for less than a comparable wood unit. The downside? A limited number of design choices. It’s inexpensive, to be sure, but slowly becomes brittle with age. The frame isn’t stiff, doesn’t insulate well, can’t be repaired, and looks nothing like traditional wood. It’s low-maintenance but suitable only for mild climates because of how easily it carries heat outside in the winter and inside in the summer.